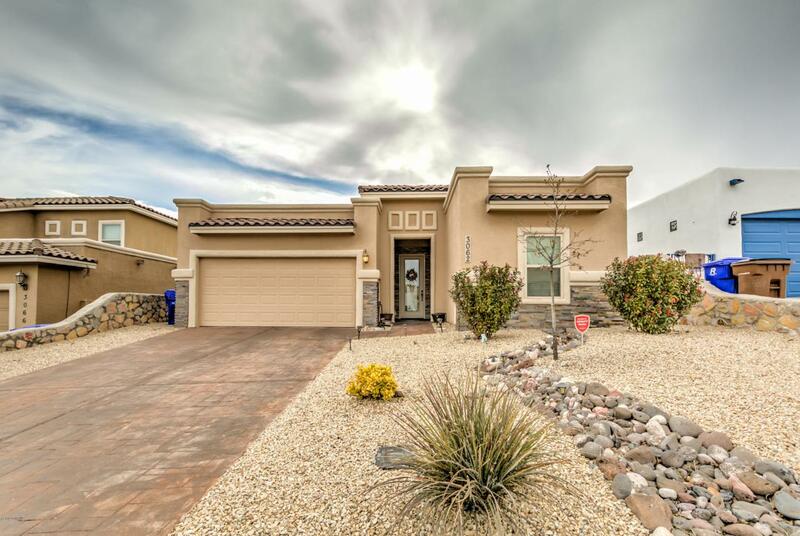 Beautifully designed, 3-bedroom, 2-bath home in Las Palmas subdivision. Property showcases a great curb appeal with immaculate front and back landscaping. This home boast many features such as a split floor plan, tile throughout living areas and granite counter tops throughout. The kitchen offers a spacious breakfast bar, accent tile work and a pantry. Spacious master suite includes a jet tub, walk-in shower, walk-in closet and double vanities. Enjoy your evenings by the outdoor grilling area or under the pergola! Located in great proximity to schools, shopping, golf course. Also easy access to Hwy 70. Schedule your showing today!